Wintertime in Hokkaido means winter sports, like skiing and snowboarding. Every year, people from around Japan and overseas roll up to one of Hokkaido’s many popular snowy ski resorts, such as Niseko, Tomamu and Rusutsu. Niseko Grand Hirafu is Japan’s largest winter resort, covering a huge area with an enormous amount of powder snow. It is the biggest of the four ski resorts in the Niseko area and boasts some of the largest quantity of powder snow around the world, gaining huge popularity from skiers overseas. There are 30 courses to pick from in addition to 15 lifts and 2 ski centers which are decked out in the latest facilities. Everything accommodates skiers of all levels from beginner to professionals. Enjoy gazing at Mount Yotei―one of the 100 famous mountains of Japan―while having the best snow experience you could imagine. Rusutsu Resort is a gigantic ski resort formed around Isola Mountain, the East Mountain and the West Mountain. Guests can enjoy plenty of space to ski in a magnificent location. There are 37 courses spanning 42km. Beginners can feel at ease at the wide open snow barn while intermedite and advance skiers can go straight for the freedom park or even the side country park which takes advantage of the natural shape of the mountain. There’s even sled dogs, ski mobiles, ice fishing and more. If you’re looking for lots of activities then Rusutsu Resort is the place to go. This is the best ski resort in the Nisekoi area for beginners and families. There are 13 courses catered towards beginners that are spacious, simple and not scary. We recommend the Long Cruise when the weather’s nice which stretches 4,000 meters! After skiing you can enjoy a nice hot soak in the natural hot springs or open air baths to warm up! Sapporo Teine hosted several events for the 1972 Winter Olympics. The ski resort is located on Mt. Teine elevated 1,023m. It’s split into the upper Highland Zone and middle Olympia Zone with 15 courses to choose from which people of all ages can enjoy, including kids and adults alike. From the top of the mountain you can catch sight of the Sapporo towns and Ishikari Bay. It’s easily accessible by car just 40-minutes from central Sapporo. Kiroro claims to have the snowiest winter valleys on earth and boasts an abundance of powder snow with a 5m depth at the top of the mountain. This dreamlike world of silvery snow has 21 varied courses for beginners to expwerts. Beginners can choose from 3 different 2km beginner courses. There’s also a ski school for children from the age of 3 where they can learn the ins and outs of skiing. There’s also hot springs, a pool and more to enjoy in addition to skiing. There’s also an indoor entertainment facility which can be taken advantage of during in all weathers. Hoshino Resort Tomamu has a total of 29 courses for beginners to experts, with each course balanced perfectly for every skill level. It is the only ski resort in Hokkaido that has individual lanes for each level where you can enjoy safe and fun slope skiing. There’s also a 4,020m snow cart course―the longest in Japan―as well as lots of activities to pick from like snowmobiling, snow rafting, sledding night snow cruises and more. The resort is easily accessible from New Chitose Airport, Asahikawa Airport and Tokachi–Obihiro Airport too, making it a great choice when planning your trip. Did you enjoy this list? 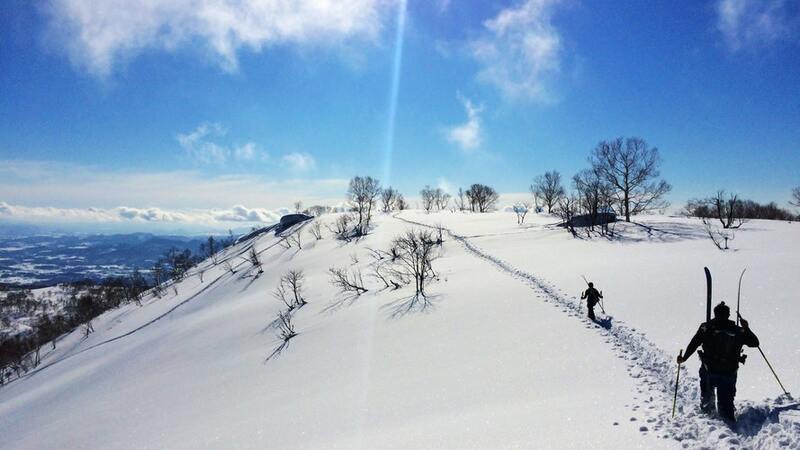 Be sure you get the full Hokkaido experience by getting involved with the winter sports!